> Why is Audio Quality Important? Sound quality makes a huge difference in a person’s life. The way they listen to music, movies, and video feeds affects them on a daily basis. The average person owns some sort of mobile music device such as an ipod, smartphone, or tablet in which they watch movies, television shows, and listen to music. It’s easy to see how these different consumers value audio quality throughout their daily life. With all the new education mobile applications and technology being implemented in the classroom, it only makes sense that programs and technology for good audio is added to the necessary list for high school, college, and graduate school students. A growing number of teachers are utilizing online classroom settings where they might be able students upload notes or have live discussions via Skype. This is where audio quality on your computer, tablet, or even smartphone makes a huge impact. It’s essential to have crystal clear sounds for the discussions. Plus it’s becoming increasingly difficult for students to focus on school work with the constant distractions. Good noise cancelling headphones and high definition audio technology installed on your mobile device blocks out the outside world, distractions, and any anything extra that interrupts your attention to school. Some educators believe listening to music disrupts the learning process, but many students find the noise helpful for motivation. It may be easier to listen to songs with lyrics than nearby conversations. Audio quality is beginning to play a larger role in business platforms. Good noise cancellation headphones make a difference in the work environment as well. 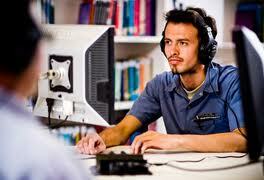 Some work places are liberal enough to allow professionals to listen to music and plug in their headphones. If that’s the case, why not take advantage of the latest audio technology and headphones to destroy those distractions and enhance your listening experience to motivate you to meet project deadlines? Also, as businesses continue to explore technology for video podcasts and conferencing, having good audio technology enhancements will definitely benefit them. It’s very hard replicating the movie theater experience at home. Sometimes the surround sound you installed for your new 3D television doesn’t do the video justice. Movie lovers want the same video and audio quality from the comfort of their own home without having to travel to the movie theater. Of course they can’t completely recreate the experience, but they can get pretty close with the latest surround sound technology. It’s definitely worth the investment to purchase the latest HD audio products that will enhance your sound quality while watching your favorite flicks. Obviously sound quality plays a huge role for musicians. They need excellent audio equipment to record and listen to new songs. As musicians grow they want the best audio products that will transform their listening experience on their mobile devices and computers. Musicians are also taking advantage of the various ways to augment their musical talent with computers. Improving the way you listen to a song with HD audio will revolutionize the way people hear music.